It’s the middle of summer, and hopefully, if you’re heading out in the sun, you’re taking the precaution of applying sun cream beforehand. Sometimes, however, you can end up with sunburn despite your best efforts to prevent it. 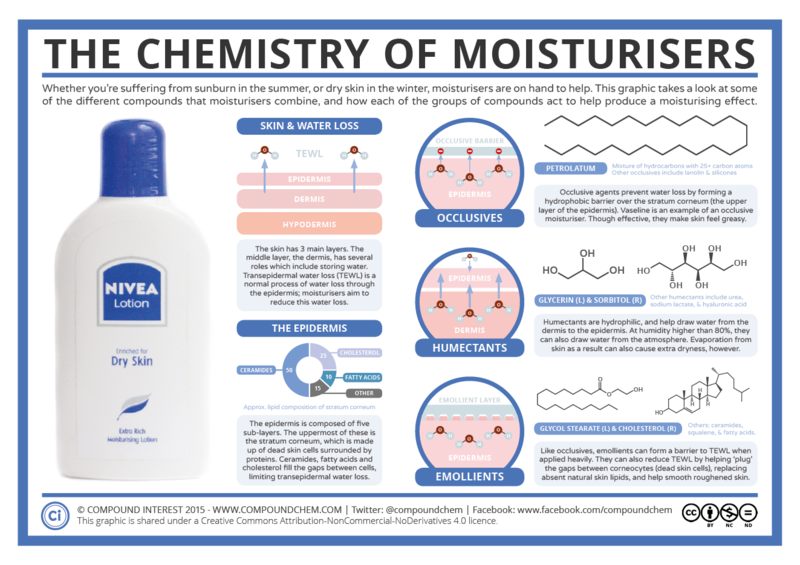 After sun and moisturisers can help to soothe the burn – here, we take a look at the chemicals that allow them to do their jobs. 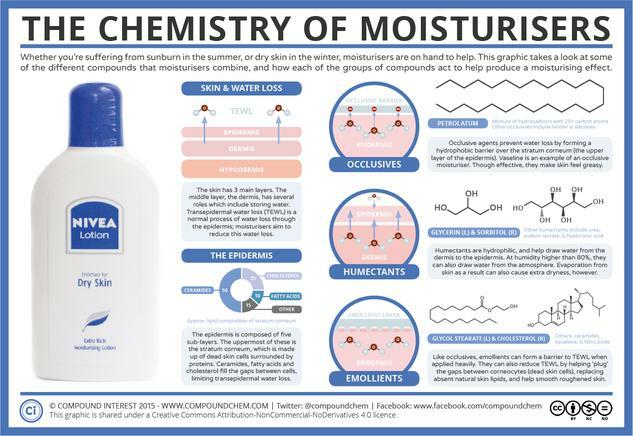 Before discussing moisturisers themselves, let’s look at your skin. Skin is composed of three main layers: the epidermis, the dermis, and the hypodermis (also known as subcutaneous tissue). The hypodermis anchors skin to muscles, and also contains fat, but it’s slightly less important to our discussion. The dermis, on the other hand, is very important for water storage – in fact much of the water in our bodies is stored here. It has plenty of other roles too: it contains blood capillaries, sweat glands, nerve endings, and hair follicles. In the context of the skin it’s responsible for providing water, nutrients and energy to the epidermis.